Before I start our trip through the Culinary Cranberry Bog, I want to thank all of you who have been ordering all kinds of products from Amazon.com via my blog link! Many, many thanks! Can you believe it?? The holidays are bearing down on us! 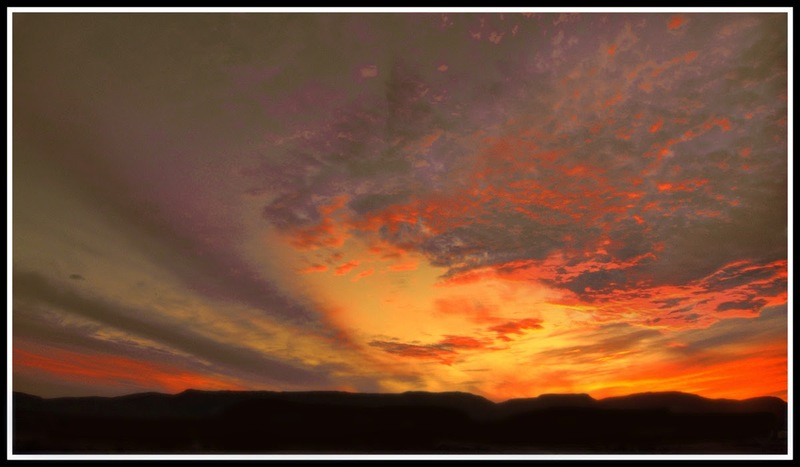 Being here in the desert, I don't think about it approaching as quickly as it is because the weather stays the same....warm/sun, warm/sun, warm/sun, warm/sun. For at least the next 10 days it will be between 84-90* and not a cloud in the sky. But, the days are ticking down to Thanksgiving nonetheless! 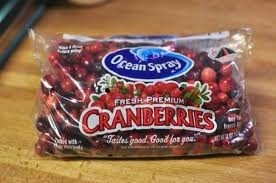 I don't know about you, but when I think about Thanksgiving and the December holidays, I think "cranberries"! As some of you may know, not too long ago, in my former life, I was a personal chef. Singles, couples, families, seniors...I had a very broad spectrum of clients with all kinds of likes and dislikes. I was always coming up with recipes that would offer something seasonal. I thought you might enjoy some recipes here in my blog from time to time. And yes, I can...and do....prepare these recipes in the RV! It's no different than cooking in a 'house' -- well...except there's a bit (a lot!) less counter space. But, that hasn't stopped me! 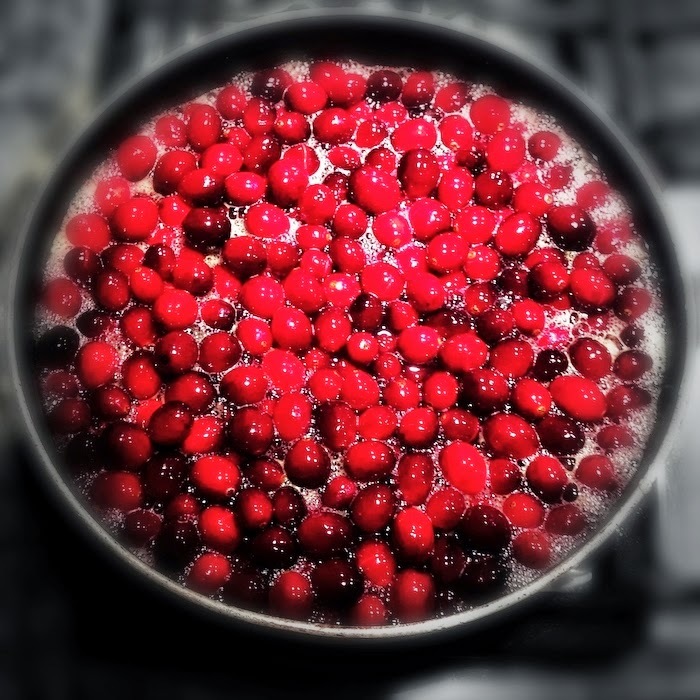 So, today, I have a few cranberry recipes to share with you. 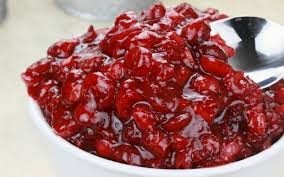 I like cranberries so much, I buy lots of bags of cranberries now, when they are in season, and keep them in the freezer all year long...these dishes are good year 'round! I love the color of cranberries. Have I ever mentioned that one of my favorite colors is red?? The drapes in the RV are cranberry red! Let's start with a cranberry basic. There's nothing better than homemade cranberry sauce! Please don't serve canned sauce with your holiday meal....homemade is worlds apart from canned and sooooo easy to prepare! Only three simple ingredients. 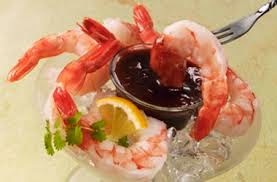 There are uses for canned cranberry sauce coming up, but this is what you will want to accompany your main meal! And it's really great on those leftover turkey sandwiches! OR spoon over a block of semi-softened cream cheese, sprinkled with some zested orange rind and serve with crackers! So simple and delicious! OR spoon it over cake and ice cream! + sugar and water! That's it! Combine sugar and water in a medium sauce pan or deep skillet. Bring to a boil. Stir in the cranberries and mix well. Bring to a boil then reduce heat and boil gently for 8-10 minutes until most all the berries *pop*. Cool and pour into your serving dish. Refrigerate until thickened. This can be made several days in advance! Let's get our cranberry-inspired meal started by heading to the bar! 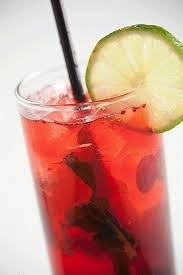 What better way to get the holiday feeling started than with a cocktail! This cocktail is refreshing any time of year! And with cocktails or wine, there's always something to nibble on while your guests are mingling! Serve these meatballs with pita toasts and a veggie platter. Your guests will want this recipe! In a mixing bowl, combine cranberry sauce, BBQ sauce, brown sugar, salt and lemon juice until thoroughly combined. 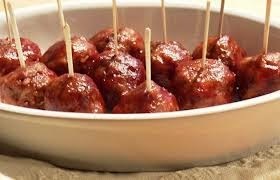 Place meatballs in slow cooker/crockpot and cover with sauce. Cook on low 3-4 hours. These can be made ahead and reheated! With everyone around the table now, a well known appetizer...with a twist... is up next! Combine all ingredients in a medium sauce pan. Bring to boil on med-high heat, then reduce heat to low and simmer for about 10 minutes, stirring frequently, until the sauce thickens a bit. Cool and refrigerate until cold and ready to serve. Another "make ahead"! This can be prepared with chicken or turkey. I use thighs for more flavor, but you can use breasts -- with a little less cooking time. Serve with oven roasted broccoli or brussels sprouts and roasted red potatoes garnished with rosemary for a pretty plate! In a large zip lock bag, combine the flour, salt, pepper, and seasonings. Dredge the chicken. In a large skillet, brown chicken, in batches, in 1/4 c. butter and olive oil until browned on both sides, Remove chicken and set aside. In the same skillet, combine the cranberries, water, brown sugar, vinegar and nutmeg. Cover and simmer for about 5 minutes. Add reserved 2 Tbls butter. Simmer, uncovered, until reduced a bit and thickened...about 20 minutes. Place chicken on top, cover, and simmer for about 40 minutes or until chicken is cooked through. Remove chicken to platter (or plates) and spoon over cranberry mixture. An finally, a little dessert! Top this cake with whipped cream, ice cream, home made cranberry sauce or bourbon sauce! YUM! This is good for breakfast or with afternoon tea, too! Heat oven to 375*. In a small mixing bowl combine the flour, baking powder, baking soda and salt; set aside. In a large mixing bowl add 1/2 cup sugar and butter. Beat until creamy...about 1 minute. Add the egg, sour cream, orange juice, orange zest, and vanilla extract. Continue beating, scraping bowl often, until creamy...about 1 minute. Add the flour mixture to the sour cream mixture and mix just until moistened. Gently stir in the cranberries and pecans. Spoon evenly into 3 greased 3x5 pans. Sprinkle tops evenly with the remaining 1 Tbls sugar. Bake for 25-30 minutes or until a toothpick inserted in the center comes out clean. Cool for 10 minutes on wire rack. Turn cake out of pans. Cut into slices and serve with your favorite topping, if desired. I hope you will try these easy recipes. I'm pretty confident you will love them and love sharing them with your family and friends! Bon appetit from the desert! Awesome post! After I moved away from home, I never saw anyone make homemade cranberry sauce anymore. My mother was the last person I knew that ever made it. Now, if it's served at all, it's from a can. I think I will try most of these recipes as I, too, love cranberries! 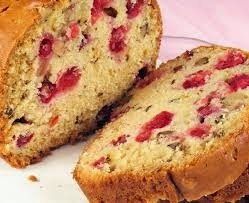 The "Cranberry Pecan Sour Cream Loaf Cake" may be 1st on the list! Thanks for all these great recipes! Great recipes! Yummmm!! I remember that Mother strained her sauce when finished cooking...no skins left. That's my personal favorite. I made my own when Thanksgiving was at our house. Daughter, Stacie, makes her own homemade each Thanksgiving! You're right, no comparison! I agree the loaf cake looks good! I also like the chicken! Great post pre-holidays! Thanks!